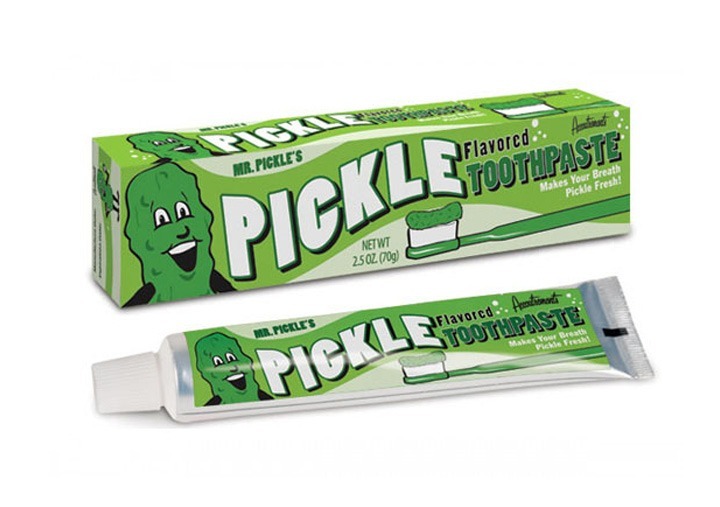 We present you with 10 toothpaste flavors that are out of this world. The most unusual flavor I’ve ever tried was Lemonade by GoSmile. I came across this yummy product on an overseas trip back in 2005. So much better that the regular mint-flavored toothpaste – it tasted like sprite soda on a hot summers day. Personally, I would love to try the Licorice toothpaste by Marvis, I hear the flavor is very subtle and gives you that ‘just been to the dentist’ feeling. The brand has a cool history too – created in the 60s for smokers to remove stains without damaging the tooth enamel or irritating the gums. Italian origins, of course! Which toothpaste flavor do you fancy trying? I use Marvis liquorice toothpaste and have so for a few years. I purchased my last supply in the U.S. I am currently residing in Dubai/Sri Lanka and I was wondering if I can get hold of any of this toothpaste from your business. I will be in Dubai tomorrow and I would be greatfull if someone could email me with details of were I can purchase some. By return email would be appreciated. Next post: Dental Bridge or Implant for missing teeth?